Does your supplier have a track record? 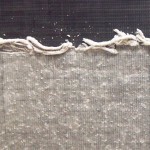 Permatron has been in the custom air filtration business since 1957. We designed the first washable electrostatic filters for use in high dirt load environments such as paper mills and food processing plants. Since then, we have designed and produced custom products for thousands of satisfied customers. Does your supplier speak your language? Each industry has standards and regulations that its equipment must meet. Is your supplier knowledgeable about your requirements? Permatron once won a contract from a medical device company because our inside account manager asked about CFR (Code of Federal Regulations) standards, which apply to filters used in human applications. Our competitors weren’t familiar with that. Can your supplier deliver the product you need? Our production staff has the skills- Metal forming and fabricating, notching/punching, material slitting and sheeting, die cutting, sonic welding, sewing, and fabricating – to create exactly what you require. Does your supplier provide a prototype? 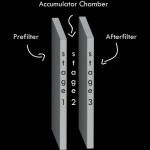 Permatron works with your engineers to design a filtration system that meets your specs. Then we custom manufacture a prototype that you can test on your equipment in your facility. The cost? Free. Does your supplier understand your production deadlines? The average custom air filter solution can be designed and manufactured within 7-10 business days. Permatron offers a Flexible Manufacturing Process (FMP). Engineering, purchasing, production and credit coordinated to establish credit, provide prototypes and deliver 900+ custom filters in six business days based on an OEM’s emergency production schedule.